The NFU is welcoming the opening of a major new glasshouse in the Lea Valley today (Friday 20 May) as good news for British growers, the British public and the British economy. 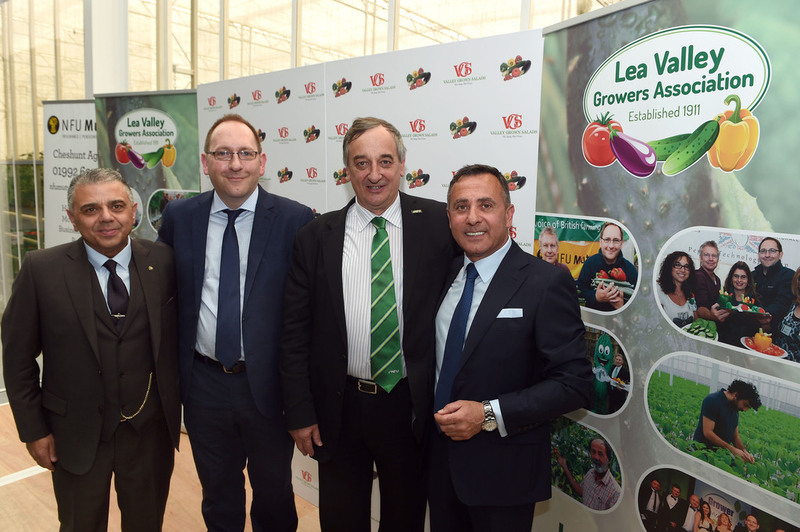 NFU President Meurig Raymond will be among VIP guests at Valley Grown Nurseries in Nazeing, Essex as the company unveils the first phase of its 24 acre expansion scheme. The development represents the largest addition of glasshouses to the Lea Valley since the 1950s, with the new glass used for growing tomatoes and sweet peppers. Mr Raymond said: “Self-sufficiency in the horticultural industry has fallen for a number of years. We now import four out of every five tomatoes eaten in this country, at a time when the public is actively seeking to buy quality British produce. “There is tremendous scope to grow more salad crops to meet public demand, but modern agriculture and horticulture require investment in modern buildings and modern facilities. The Lea Valley has about 300 acres of specialist glasshouses, where growers produce 80 million cucumbers, 70 million sweet peppers and other salad crops. Lee Stiles, NFU Secretary of the Lea Valley Growers Association said: “The Lea Valley had the highest concentration of glasshouses in the world in the 1950s but the growing area has since declined by 80 per cent. NFU member Valley Grown Nurseries obtained planning permission in 2014 to construct the new glasshouse within the Green Belt but the decision was challenged by Lee Valley Regional Park Authority. The authority unsuccessfully appealed to the High Court and then the Court of Appeal. The NFU provided support through its Legal Assistance Scheme during the lengthy appeal process. Jimmy Russo of Valley Grown Nurseries said: "After several years of uncertainty, and huge financial costs, we are delighted that Epping Forest District Council has been fully justified in granting planning permission for this scheme.